Set sail on a river of pure magic! 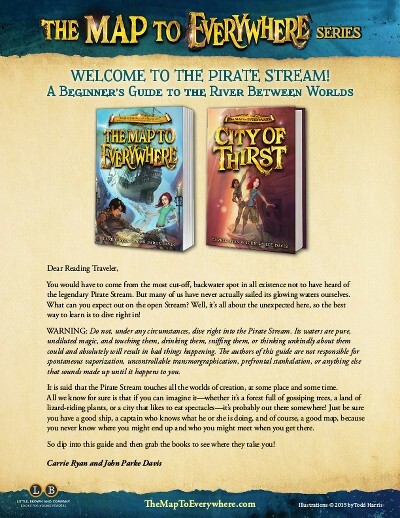 In New York Times bestselling author Carrie Ryan and John Parke Davis’s fantastical new series, adventure, magic, and hilarity collide in the treacherous waters of the Pirate Stream. Heart-pounding escapades and a colorful cast of characters will have readers setting sail through this wholly original and unforgettable tale. 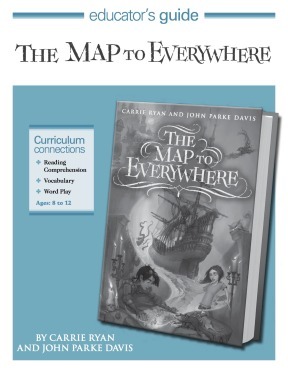 One of the most accoladed middle grade books of 2014! Order autographed copies from our local Indie by clicking below! Intro to the Pirate Stream! Husband and wife Carrie Ryan & John Parke Davis have been in love with each other’s writing (and with each other) since meeting in law school a decade ago. Carrie is the New York Times bestselling author of the critically acclaimed and multi-award winning Forest of Hands and Teeth series, which is based on a world she and J.P. created together. She is also the author of Daughter of Deep Silence and Divide and Conquer, the second book in Infinity Ring, Scholastic’s multi-author, multi-platform series for middle grade readers, and the editor of Foretold: 14 Tales of Prophecy and Prediction. J.P. is an Assistant Federal Defender in the Western District of North Carolina as well as a published author of short fiction. Though they’ve been important parts of each other’s writing for years, The Map to Everywhere is their first full collaboration. J.P. and Carrie currently live in Charlotte, North Carolina, with their two ornery cats and one gullible dog. For longer bios and additional author photos, click here! Vividly cast…. Multifaceted characters, high stakes, imaginative magic, and hints of hidden twists and complexities to come. Pseudonymous Bosch, New York Times bestselling author of The Secret Series and Bad Magic. The kickoff of an adventure that readers will devour. 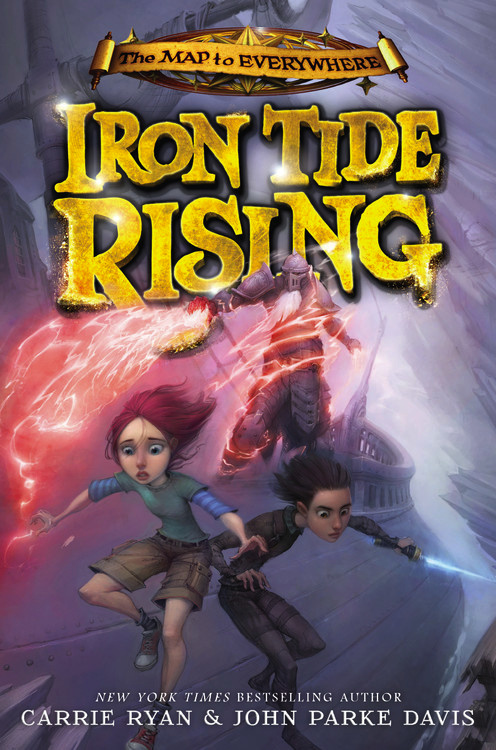 The authors cleverly balance witty wordplay, action, suspense and emotional impact for a novel that is a lively introduction to a great new series—and a quest that kids will want to embark upon. Filled with adventure, magic and heart-pounding escapades, this is a book kids will love and completely immerse themselves in. Think The Never Ending Story meets Princess Bride. I reckon this will go on to be the next big series, so go read it now to get ahead. 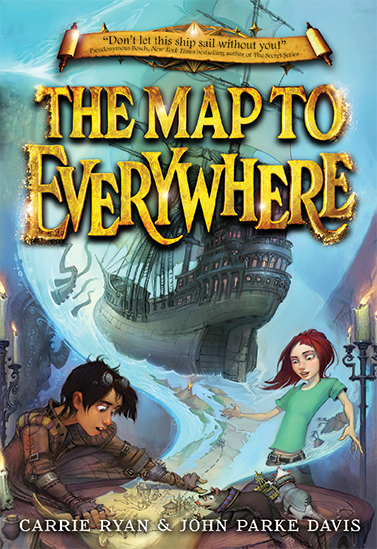 The Map to Everywhere is quintessential fantasy, melding a world achingly our own with a thrillingly realized parallel realm of (as one character says) “lots of pirates and adventures and whatnot!” But what begins as a quest for a magical map deepens into a touching search for identity. Ryan and Davis have crafted a tale with equal parts humor, humanity, and suspense. Wholly original…. This is an ambitious undertaking, and strong readers who enjoy adventure fiction and fantasy will inhale the first book in what has the potential to be an extraordinary series. 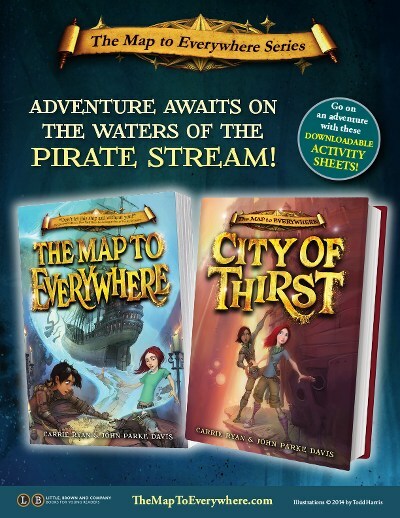 Ryan and Davis’ swashbuckling quest features fantastic world building, gnarly creatures, and a villain who is both spooky and formidable…. The unique details, expert plotting, charming characters, and comic interludes combine in a tantalizing read. Two adventurous kids, magic, and danger at every turn–this is a romp of a story! A fast-paced, funny and fantastic read! 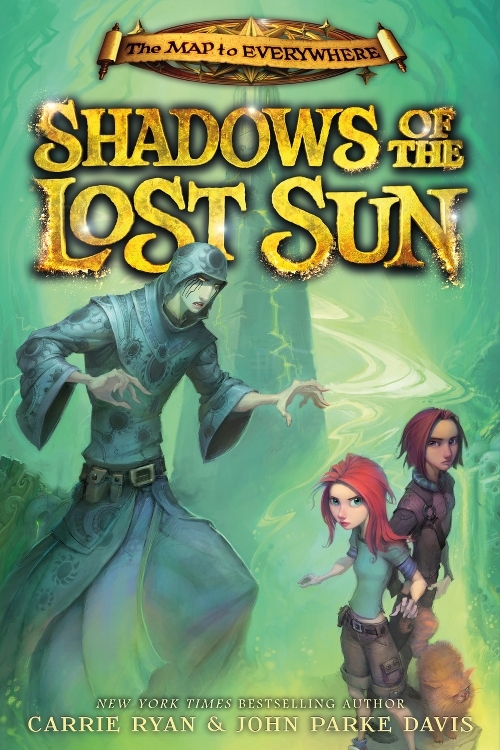 It’s an enthralling tale of magic and adventure – a perfect gift for avid young readers. Fast-paced and imaginative, this adventure combines action with whimsy, injecting emotion and pathos into an otherwise lighthearted romp. It’s a strong start for what promises to be a highly enjoyable series. Clever, fresh, and filled with fantastic charm! 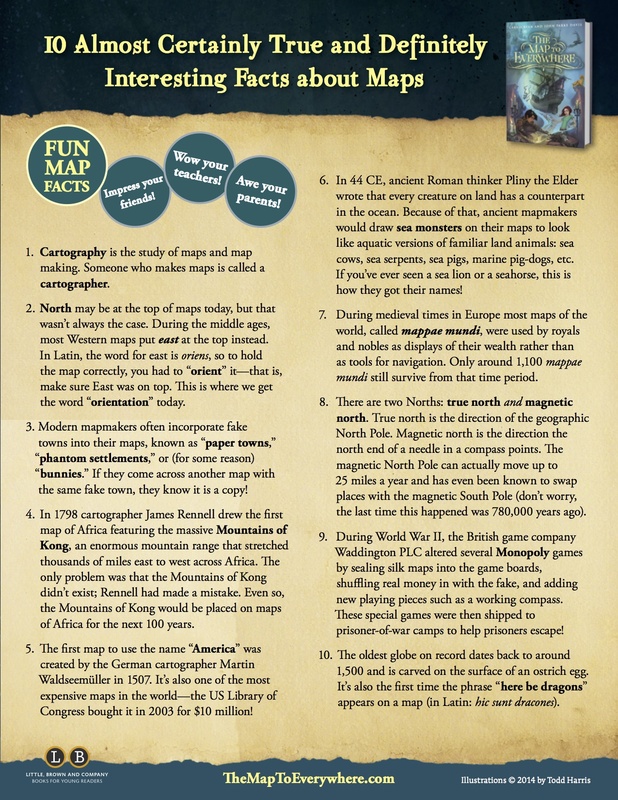 It is a race against Serth and his magic, and is full of amazing descriptions of worlds from jungles made out of people, to icy wastes where the letters of the words you speak freeze in mid-air. We loved it. 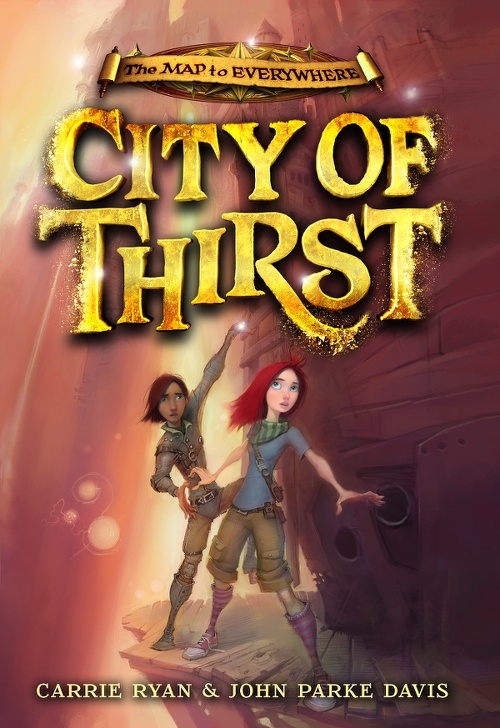 Extraordinarily vivid alternate worlds, strong characters and hair-raising adventures are interwoven in this fast-moving fantasy quest. There’s no catching one’s breath as the kids (and the crew with whom they’ve fallen in) risk life and limb. [Marrill and Fin’s] tentative but determined efforts at understanding how to compromise, risk, and share with a peer is one of the quiet highlights of the novel. 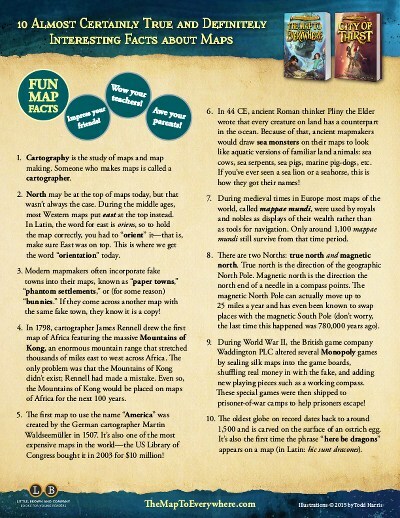 Fans of The Phantom Tollbooth will appreciate the traveling aspect: each area the crew encounters is effectively described as quirky, dangerous, and distinctive. Readers will undoubtedly be eager for the next volume.